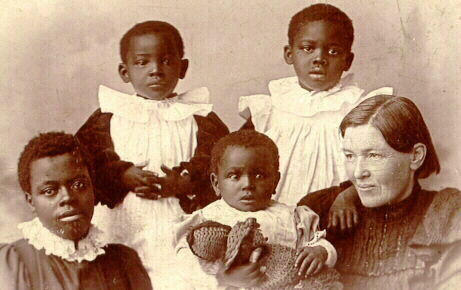 Mary Slessor was born in Scotland. She came from a poor family. Her father was a violent drunkard but her mother was a born again Christian. She was convinced that God called her to go to Africa, to Calabar in particular. At that time Nigeria was an English colony. Very few English men wanted to go and live there. Because of malaria and other infectious diseases it was called ‘the white man’s grave’. She was a single woman of 28 when she went to Calabar as a missionary. It is hard to understand the terrible and mysterious forces against which missionaries are ranged. Witchcraft was interwoven with life in such a way as practically to rule the land. Superstition was rife everywhere. When a chief died numbers of people were murdered, and his wives, after dressing in their finery, were strangled, in order to go with him to the spirit land. Blood sacrifices were offered to ‘jujus’. The human skull was worshipped. Guilt was decided by eating poisoned beans or the hands plunged into boiling oil. When twins were born they were always killed, for they said one belongs to the devil and they did not know which one is that. Their mother sent away into the bush to do the best she could, generally to starve and die, or to be killed by wild beasts. Mary had heard about all these things in faraway Dundee, Scotland. Now she was going to see them for herself, to fight the demons in the Name of the Lord Jesus Christ. She had nothing except faith in the Lord who had died to save these poor uncivilized people. Born again herself, and overflowing with love to her Savior, she had a salvation worth speaking about, a real, definite thing, and with this treasure to share with all who would, she went forward eagerly, joyfully, into the dim, mysterious future now opening before her. She quickly learned the Efik –Calabar language fluently. She eat the native food. She always dressed in a straight baggy sleepless dress. Her red hair was always cut short, like a boy, for she never had time to dress it. God gave her favor with the elders, the chiefs and the rest native people. She had the courage of a man, better said of a lion. Each time the elders gathered to convict someone of stealing, witchcraft or other crimes punishable with death, she will go in their midst and argue as the lawyer of the accused. She was a smallish woman with a strong voice. Almost always she got the death sentence changed into public beating, saving the lives of many. Then she will take care of their wounds in her hut and preach Christ to them. This is how many became saved. All abandoned children were adopted by her and many grew up to help in her ministry. She was engaged once to a man from her home town, but later he became afraid and he refused to come to live with her in Calabar. The relationship ended and she never married another. She never had natural children but left behind a great harvest of fruit that still abides. She was sometimes lonely. She lived in the deep jungle villages most of the time. When her mother and sister died and she did not hear of it until a year later. She grew old but her work and ministry never stopped. She collapsed and died in one of the villages in the forest. The villagers she loved so much brought her corpse to the city by canoe. She had a state funeral with all honors. She left behind Calabar a much better place; thousands heard the Gospel of Christ and multitudes of souls got saved. Only God can reward such a labor of love. Amen!